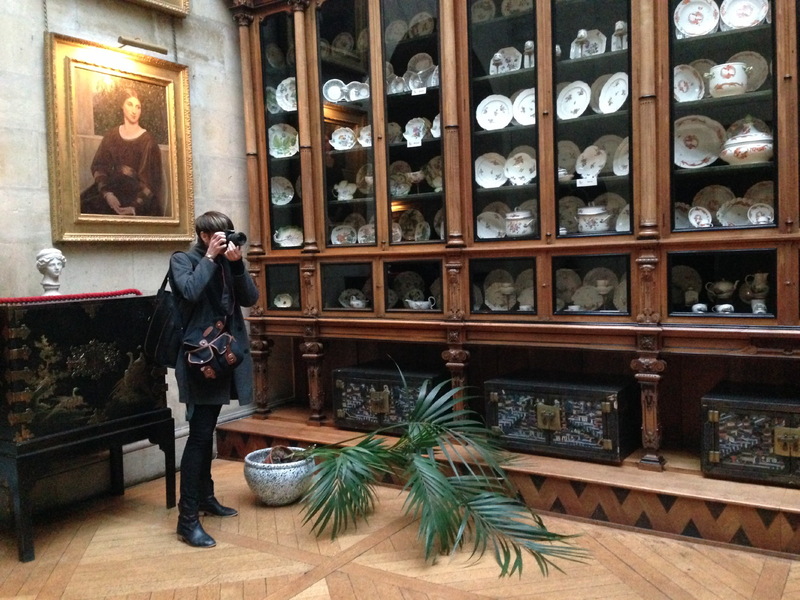 Elly hard at work during our visit to Castle Howard. 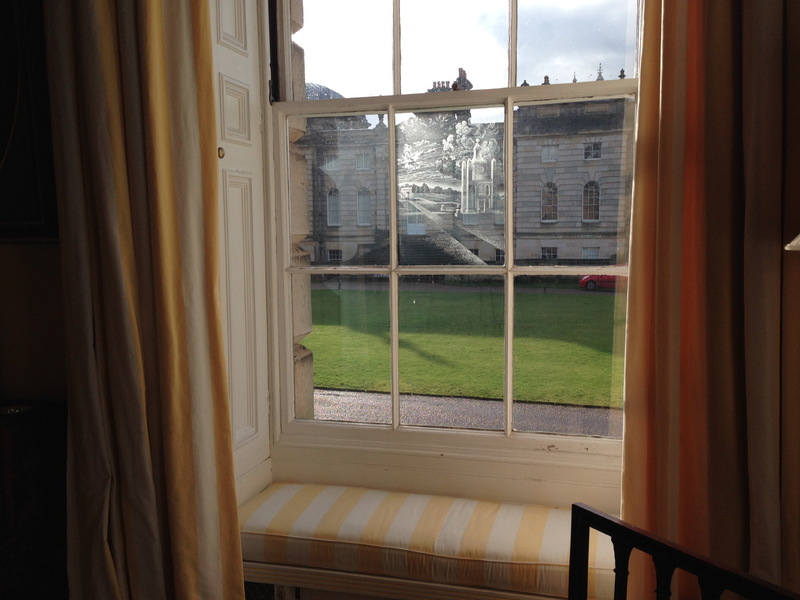 The sunlight peeking through Mr.Howard’s private residence perfectly highlights the etching in the window revealing the entrance to Castle Howard. 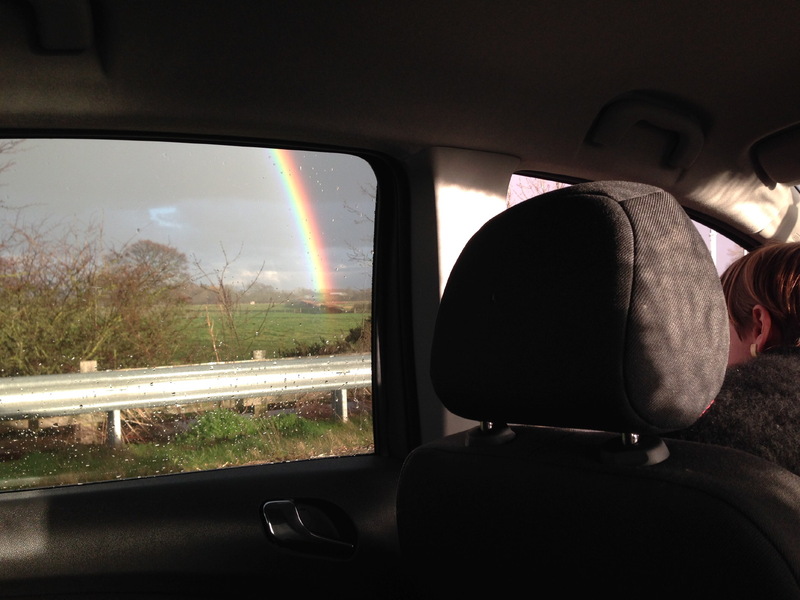 Upon our return home we were greeted by a double rainbow, unfortunately no pot of gold was to be seen but we left with plenty of images in our cameras! 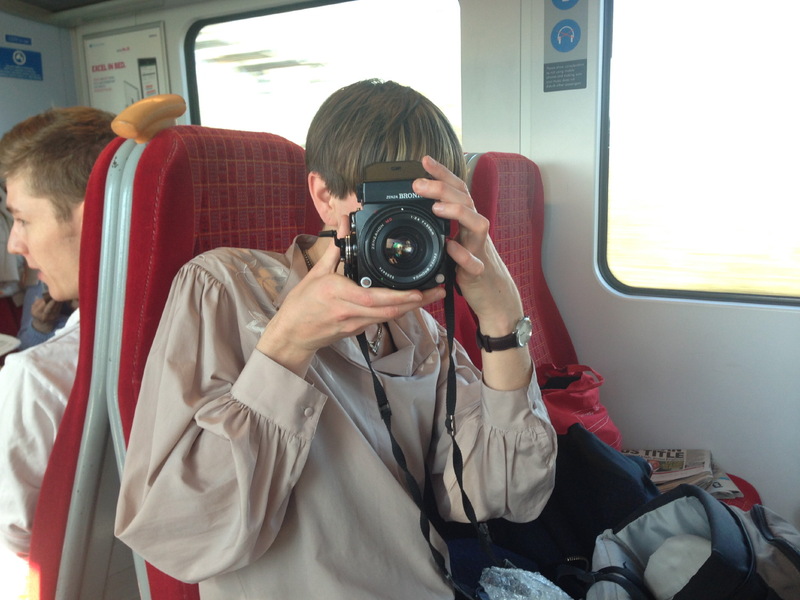 En route to the south and double checking our equipment: Elly demonstrates the use of the medium format camera. 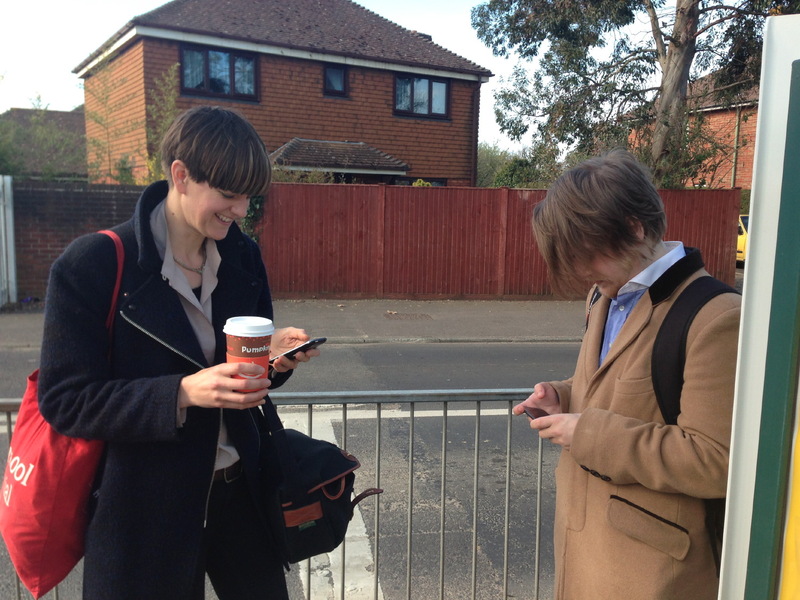 Arriving in Havant, Elly and William check their phones for directions. 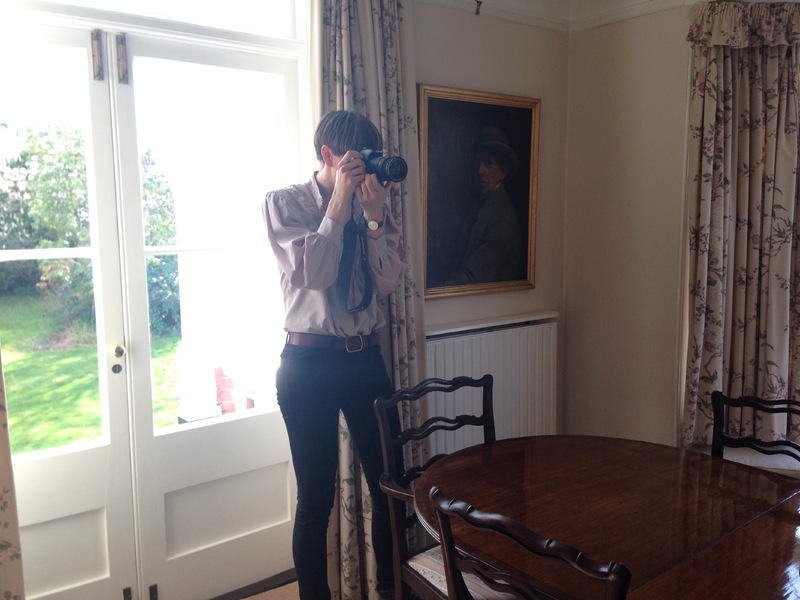 George Richmond overlooking Elly as she is busy at work in the home of another descendant of the artist. Photos & captions by Julie Tsang.